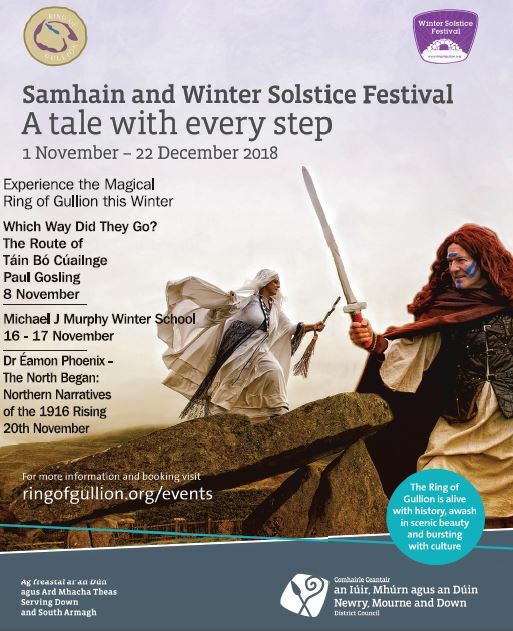 Newry Mourne and Down District Council and the Ring of Gullion Partnership as part of their Winter Solstice Festival is hosting a number of enlightening lectures on the major events which has shaped the landscape and culture of the area over the years. We have secured a number of prestigious local and national speakers to educate attendees on a range of topics. Starting the programme of workshops will be Paul Gosling is a native of Dundalk who lectures full-time in the Galway-Mayo Institute of Technology. He is a professional archaeologist and a member of the Institute of Archaeologists of Ireland. Join him on Thursday 8thNovember at 7.30pm in Cross Square Hotel were, he will be discussing his currently researching the route aspects of the medieval epic, Táin Bó Cúailnge (The Cattle raid of Cooley). 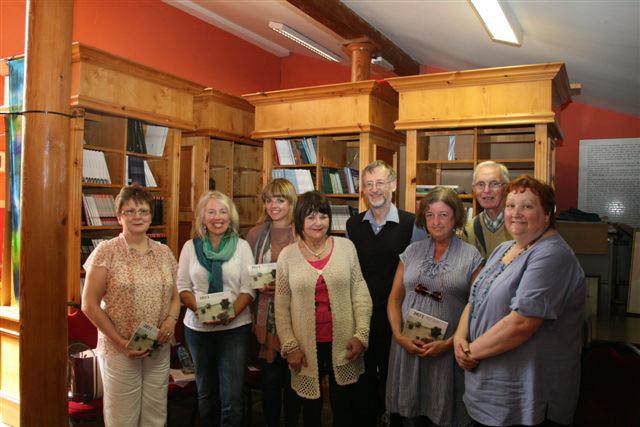 The Festival will be showcasing one of the area’s greatest storytellers Michael J Murphy with a winter school from the 15th-16th November in his honour. This year will be highlighting the rich cultural language of the local area. On the 20th November, we will be moving to more recent history with a warm welcome back to Dr Éamon Phoenix to the area. Dr Éamon Phoenix is a political historian, journalist and commentator. He is a member of the Taoiseach’s Expert Advisory Group on Centenaries. His book entitled ‘An Ulster Unionist at the 1916 Rising’ is based on the 1916 diary of Belfast-man, James Mitchell who arrived in Dublin on Easter Saturday. Dr Phoenix will be covering how the North Began: Northern Narratives of the 1916 Rising’ in Bessbrook Town Hall at 7:30pm. Join Dr. Kirstin Lemon from Geological Survey of N. Ireland on the 27th November at 7.30pm in the Flagstaff Lodge who will be speaking about Rock Legends: myth busting in Mourne Gullion and Strangford. The talk will have a look at some of the myths around unique geology of the area. Dr. Lemon is an animated speaker who explains this complex subject in easy to understand language. Newry, Mourne and Down District Council Chairperson, Councillor Mark Murnin said “We are very lucky that the Ring of Gullion Winter Solstice Festival could avail of such as fabulous range of speakers both locally and nationally highlighting the significance of this area in regards the history, architecture and geology of Ireland”. Check out the Ring of Gullion website for the full programme of events over the next month and book your spaces early! Some events require booking and can be booked on the website www.ringofgullion.org or call into the office in Crossmaglen Community Centre, O’Fiaich Square, Crossmaglen, BT35 9AA Tel:-(028) 3082 8590.